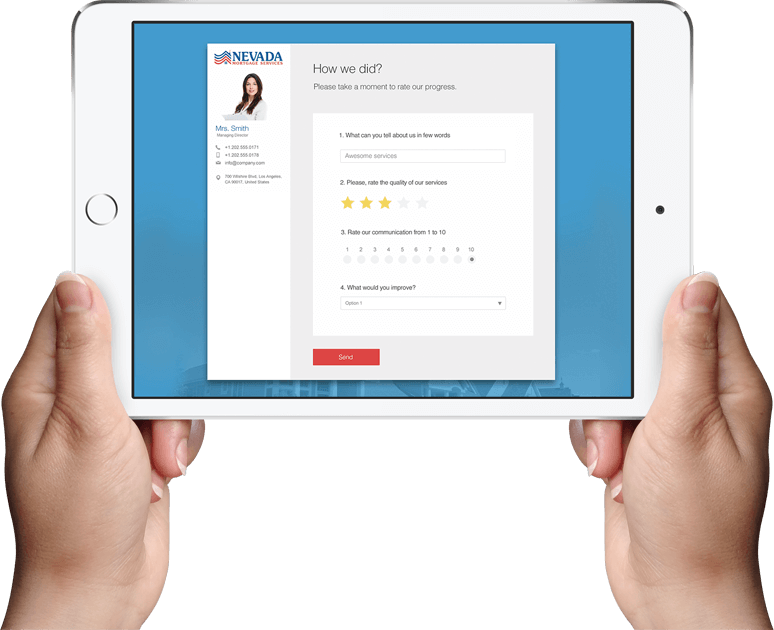 Find more about your clients as a result our effective survey tool. Surveys Module can be activated by administrative user of your BNTouch CRM account. To activate the module please visit Modules page (access via top right corner menu) and look for Surveys Module listing. Please also note that after activation, all active users will be charge an additional $15/month/user for this Surveys functionality. Please note that after activation, all active users will be charge an additional $15/month/user for this Surveys functionality. It is super easy to add and modify existing surveys. Start collecting vital business information in minutes. Please also note also that after activation, all active users will be charge an additional $15/month/user for this Surveys functionality. I’ve been very impressed with the support and follow up that I’ve been receiving from your company. Not only has the whole process been made easy but everyone has been on the ball and even proactive in checking in on me to make sure that above all I was getting the help I need. Thank you very much. Don’t know where to start? Request a Demo!